We’ve seen this central theme before of the relationship of technology to humans, but never quite like this. 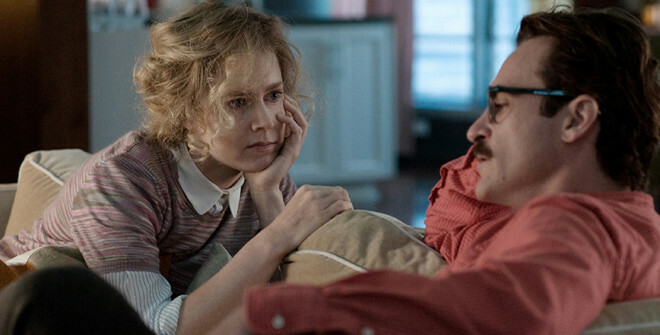 Spike Jonze’s Her centers around a introverted, soon-to-be divorced man by the name of Theodore Twombly who has become quite lonely and reticent in his separation from his wife. After seeing an ad trumpeting the newest operating system (OS) that can be everywhere at once, Theodore purchases one and boots it up. This OS, self-named Samantha (in two one-hundredths of a second! ), and Theo immediately start engaging in conversation, and from here, a friendship, and eventual relationship, is spawned. 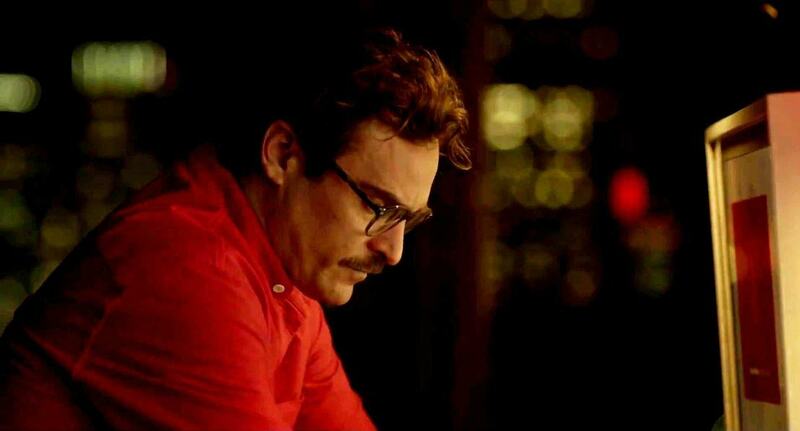 As Theodore Twombly, Joaquin Phoenix once again shows his acting prowess. He is, quite simply, one of the best actors in Hollywood today. I have not seen all of his acclaimed movies, but from what I have seen he knows just how much is needed for each role he undertakes. For most of this movie, it is only him on the screen, and as a viewing audience, we have to be engaged in his plight. Much of the movie will fail if we are not invested. Within the first few minutes, you will be. At least I was. Make no mistake, Mr. Twombly is the heart of this movie. Every heart needs a soul, and the soul of this movie belongs to Samantha. What is quite odd is that Samantha possesses no body or even a face. Scarlett Johansson relies on her voice to convey the emotion that Samantha is feeling at any given time. You know how they say a picture is worth a thousand words? In this film, a voice is worth a thousand images. Never did I wonder what Samantha was feeling, and this is a testament to ScarJo, who was very deserving of an Oscar nomination. Sadly this did not occur, as Her may be her finest work since Lost in Translation. What isn’t lost in translation is the chemistry between the two leads. Easily, this is some of the greatest chemistry I have ever seen on film, period. As for the other “main” characters to the story, Amy Adams, Chris Pratt, and Roomey Mara are all more than capable when given the time in the movie, but they do take a backseat to Scarlett and Joaquin. As stated earlier, we have seen this type of theme before, but never done this way. 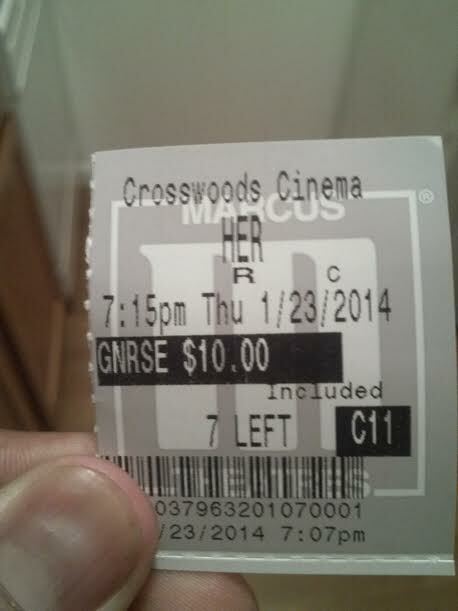 The main reason I really, really enjoyed this movie was its refusal to be bound by one genre. Sure, at the core, it is a romance. But with that said, it really is genre-bending. One minute I was laughing, another reflective, and another minute introspective. It manages to cross across romance, drama, comedy, and even sci-fi without compromising anything. The movie itself is beautiful from a technical standpoint. Jonze has crafted a film that isn’t too different from ours if you think about it, and when watching, I could easily see this scenario playing out in the future. There are some really, really stellar shots and edits that effectively portray the mood that certain characters are feeling. 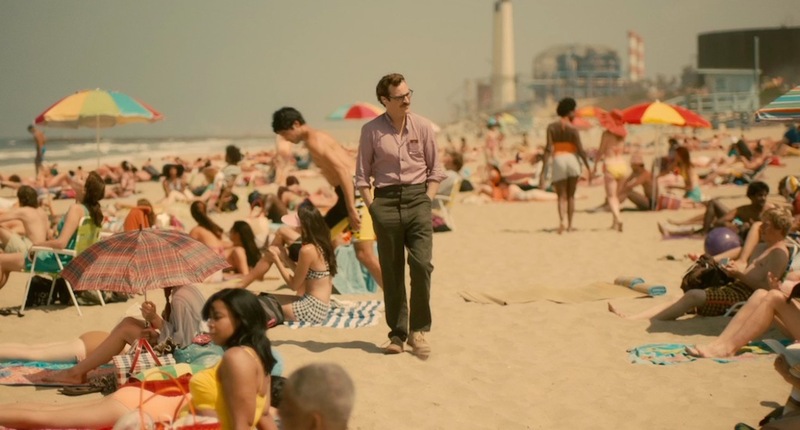 Spike Jonze has an extremely deft hand, both script-wise and directing-wise. The soundtrack aids the gorgeous visuals; everything just clicked into place and enhanced each scene. I’m pretty sure I became an Arcade Fire fan after this movie. There aren’t really many negative things I can say about this film. It is slow, but anyone going into this movie should expect this. At times when watching this movie, suspension of disbelief may be something that some may not be able to overcome. But, don’t most movies require us to suspend our disbelief anyway? This film is original, fresh, intelligent, and deserves every nomination and every award it is going to get. Hoping to see 12 Years and Captain Phillips soon. Expect reviews on these too.